Dual Master Suites! 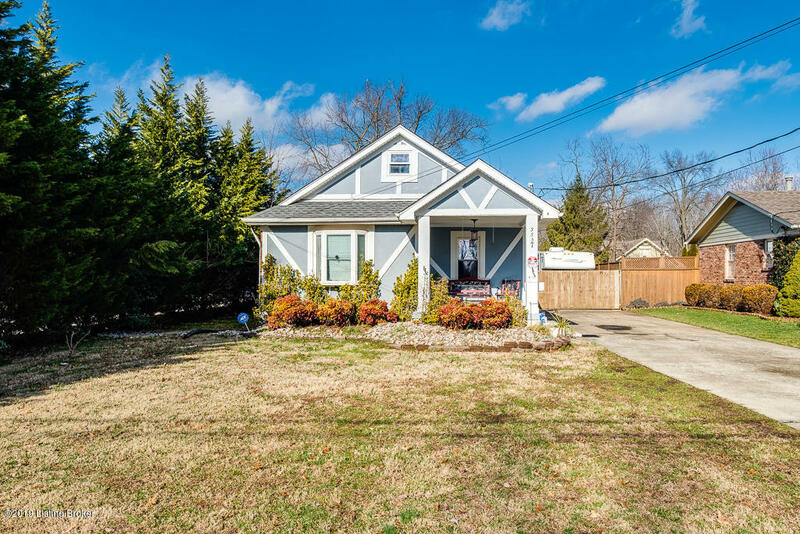 This home is a diamond in the rough with many desirable features in a coveted location just on the outskirts of Iriquois Park. It is situated atop an extra large lot, part of which houses a beautiful in-ground swimming pool enclosed by a wooden privacy fence. A large parking pad is available in the rear and currently provides a space to park an RV with additional room to spare. Step inside the front door of this charming Two Story Home to find a cozy Living Room with warm tile flooring and Buck Stove. From here you can take the stairs to lead you up to a private Bedroom and Office located at the front of the home or pass through the hallway which leads you by the Second First Floor Bedroom, Full Bathroom, Laundry Room, Breakfast Room, and into the updated Kitchen. Here you'll find a crisp white subway tile backsplash, stainless steel appliances, and gorgeous dark wood stained cabinetry. Just beyond the Kitchen is a private Sitting Room which serves as a transition to the spacious and secluded First Floor Master Suite. A second stair case in the rear of the home leads you up to the Second Floor Master Suite which offers a Juliet Balcony overlooking the pool. Enjoy quick access to the Louisville Airport, Churchill Downs, Watterson Expressway and the Gene Snyder, Downtown Louisville, and popular shops and restaurants. Seller to provide one year home warranty with purchase.